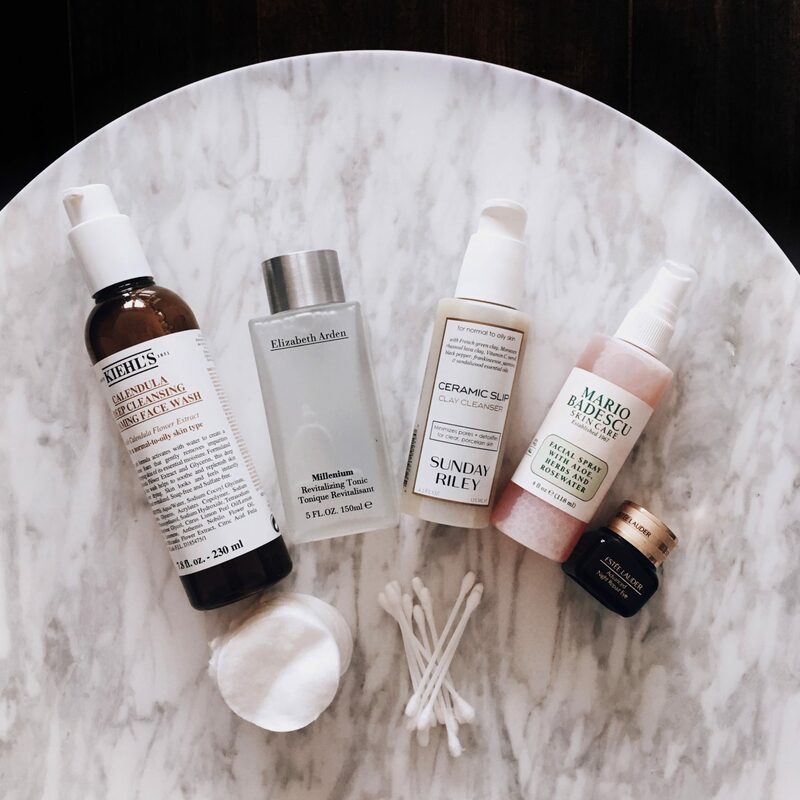 Cult beauty brands are my favourite, and I always love to invest my money in good skincare, so these cult beauty brands are my new must haves. Our skins are constantly changing and growing so I like to remain vigilant when caring for it. So which beauty brands should you really invest in? 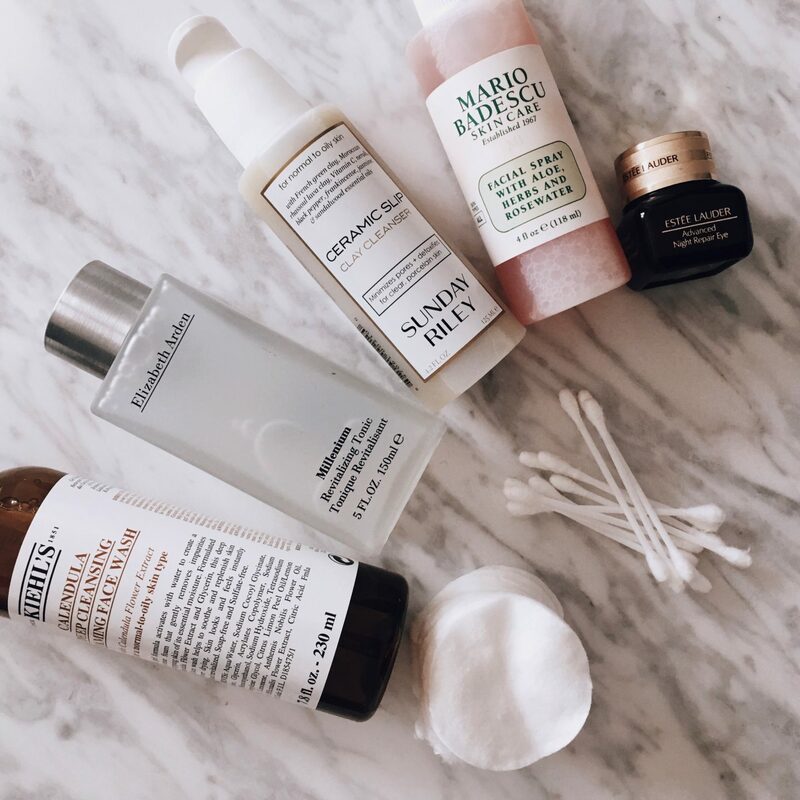 I base my beauty purchases from what my favourite bloggers are using or what beauty secrets Byrdie have to spill ( I religiously read their site everyday! ), so I’m hoping that what I recommend here may actually help you guys too. First up is my super favourite product (and totally worth every penny) is the Sunday Riley Ceramic Slip Clay Cleanser (here). 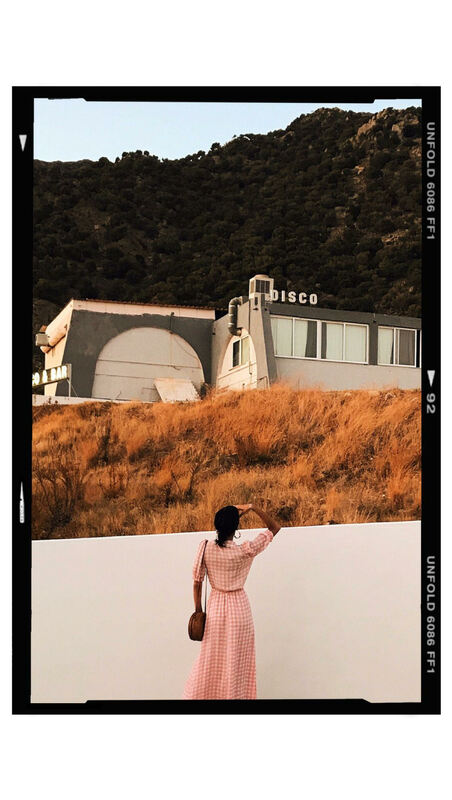 I managed to get my hand on it before it sold out on Net-A-Porter this week! It uses natural ingredients to help balance, calm and soothe the skin with neroli essential oil and vitamin C to help brighten the skin complexion. The foaming gel squeezes out a perfect amount that cleanses the skin very well. It is more expensive than your normal cleanser, but the immediate results were visible and worth every penny. My skin looked immediately radiant and well, Sunday Riley, you have converted me! Mario Badescu (here), is a huge favourite amongst the bloggers I follow and I saw that The Frugality had purchased this too. It’s super affordable which is why I love this brand. It’s a great product to refresh your face on the go ( if you are a busy mum like me!). As well as boosting hydration you can also use it prior to putting makeup on as the mist can help the make up set. I now carry this product everywhere for me for a quick little light spritz when I feel like I need a quick refresh. I purchased the Estee Lauder Advanced Night Repair Eye (here) as I have heard so much great things about this product and I’m super happy I got my hands on it! Our skin on our daily basis is hit by UV rays and pollution so sometimes our skin can look, well awfully dull. I’ve noticed since becoming a mum more (and probably because I sleep four hours a day!) that the skin around my eyes are looking a little tired and old. Since using Estee Lauder’s Night repair I’ve noticed a more youthful appearance. Dark circles and puffiness are no longer visible and they actually look and feel a lot youthful and brighter. The only thing I would say is it is a little pricey for such a small pot, that I think other affordable products can probably do just the same thing. I have been using Kiehls (here) for some years now and this deep cleansing face wash is the first thing I use to prep my skin and ready for the day. It gently lifts dirt and oil that your face captures during a working day leaving it feeling revitalised. It’s a no fuss product to use and I cant find any fault with this. There you have it, my favourite Cult Beauty buys for this month. I think i’m going to invest more in Sunday Riley, it’s done wonders on my skin the last week! What are your favourite Cult beauty products you use? I would love to hear what you guys use and maybe we can all share our beauty secrets together and look glossier and youthful than ever! I’m a huge fan of Sunday Riley and definitely need to try that Estée Lauder eye creme.